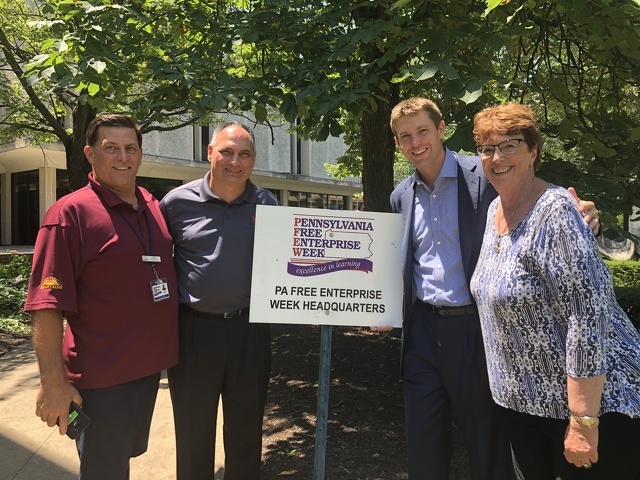 I am referring to the Pennsylvania Free Enterprise Week (PFEW), a business and entrepreneurship camp for high school sophomores and juniors. Last summer, former Smeal College of Business Professor Carolyn Todd called to tell me all about PFEW. At her urging I visited the camp being held at Penn College and Lycoming College in Williamsport, where I met Ken Snyder and the rest of the PFEW staff. It was such an amazing experience that I made it a point to send our son Ryan this summer and to join the list of speakers myself. So let’s get back to Ryan’s reluctance to attend and his rather uninformed description of the camp. First, a lot of students attended -- more than 400 a week for 5 weeks from all over the state. That’s a couple thousand, including 25 State High classmates. Second, it was far from awful, as Ryan made a bunch of new friends including Ben, Izzy, Nick and Maddie. It turns out that Nick is from Oakmont, Pa., just 10 minutes from Ryan’s grandparents, and these two new friends are already making plans to connect in Pittsburgh. Ryan also learned a lot, sharpened some skills he already had, and was able to hear from an amazing list of speakers, including yours truly. The speakers and business coaches for the teams came from many varied backgrounds across the business world. 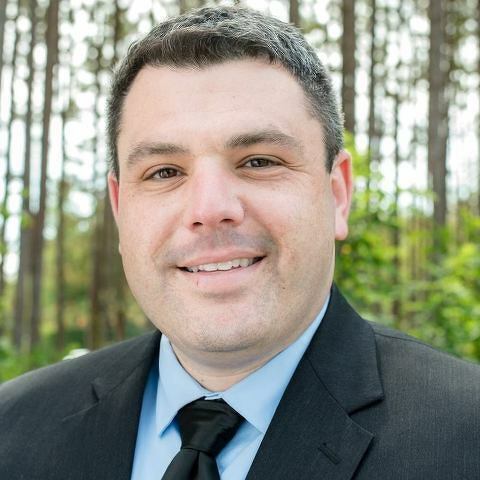 They included entrepreneurs, small business owners, corporate vice presidents, CFOs, CEOs and motivational speakers, including one of my business partners, Brad Killmeyer. It was a year ago that I first attended PFEW. The staff treated me royally and the connections continue to serve me well. Perhaps the most significant introduction was to the first speaker I heard that day. I met a youth speaker and author who would become an instant friend. Brad Killmeyer and I immediately hit it off and realized we shared a similar vision and passion: to help young people make better life and career decisions. Yes, we did the perfunctory connecting on LinkedIn, but more importantly, Brad immediately followed up on my request to learn more about the process of writing a book. After several emails and phone calls, Brad introduced me to his publisher, Weston Lyon. This is the perfect segue into the next excerpt from chapter 7 in my book, “The Power of Pragmatic Passion,” on the subject of “Networking That Really Counts.” The book is just about finished and can be pre-ordered on my website at pragmaticpassion.com. Business relationships are important. Personal relationships are essential. If you start with the goal of building meaningful personal relationships, then your business relationships will take care of themselves. If people know you genuinely care about them, they will more likely want a meaningful relationship to exist. So, make it a priority to get to know people on a more personal level. How? While I am an advocate of using LinkedIn professionally and social media platforms personally, just because someone accepts your invite doesn’t mean you suddenly have a meaningful relationship. While it is important to remember people’s birthdays, doing something nice for them out of the blue when they least expect it would be far more impactful. Being there for them in times of need is the highest level of a meaningful relationship. What I learned in my time in sales and in fundraising is that people do business with people, and people donate money to people. It’s all about quality relationships. Sure, people may do transactional deals with you that have little or no real value, and they will write you the small check for a donation to a cause. But in order to land the bigger business deals and to close on the transformational gifts for nonprofits, it is predominantly based on the strength of the relationship that has formed between parties. Transactional leadership focuses on management, task completion, efficiencies and achieving a set objective to improve performance. It focuses on conventional wisdom and maintaining the status quo and day-to-day operations. It is necessary, but not sufficient, to create real change in performance. Transformational leadership inspires motivation and engagement of the people in your care by focusing everyone on the same vision. Passion Point: If you want to be successful you must intentionally improve your people skills! How? By practicing! You can’t get better with your people skills if you don’t actively engage others in social and work settings. You must be intentional and deliberate in reaching out to colleagues, friends and relatives in order to build meaningful relationships. I am referring to conversational interactions in person, by videoconferencing, or at a minimum by phone. And when you do engage in conversations with others, it’s important to focus on the other person and remember the key values and characteristics that make up a meaningful, authentic relationship. Values like: trust, courtesy, mutual respect, empathy, dignity and forgiveness. Characteristics like: smiling a lot, having a positive attitude, saying thank you, avoiding gossip and actively listening. In addition, bringing these values and characteristics to each conversation you have, can open doors to career advancements, professional development opportunities, assignment of key projects and even a raise Remember, if you want to build truly authentic relationships, then you must make a concerted effort. In order to improve our people skills and build better relationships, we must apply these traits and be intentional about improving our ability to understand, to communicate, to respect, and to work with others. The opportunity to meet new people, develop real networking skills, and to work with others is why PFEW is so successful year after year. President and CEO Karen Musante, Vice President of Marketing and Development Scott Lee, Program Manager Paul Vizza and the rest of the staff of the Foundation for Free Enterprise Education and PFEW, do an amazing job of making the camp affordable and recruiting business people and outstanding speakers from across the state. Central Pa. deserves kinder, more thoughtful leaders. We can do better than imprison children under the guise of strong borders. The U.S. has always welcomed refugees. What has changed? Politics! We can do better to educate and train our workforce to meet the needs of a modern world.